Welcome to another Wednesday where the Heartfelt Creations DT reveals new projects. 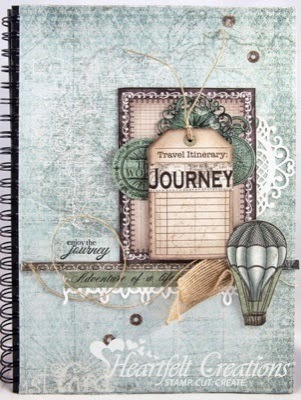 I love the April release 'Celebrate the Journey' as it is obviously excellent for the travel theme and also for male cards and LO. The blues and beiges are divine.....see for yourself at Heartfelt Creations. What a beautiful notebook!! Love all the details!! My Final Wednesday Heartfelt Creations DT Reveal.